A superbly presented GROUND FLOOR maisonette, situated in this SOUGHT AFTER location within WALKING distance of APSLEY MAINLINE STATION. 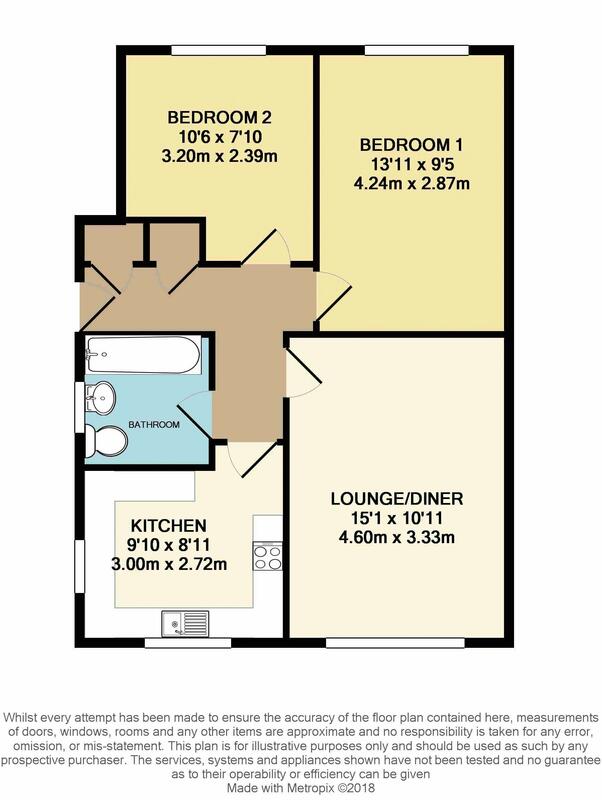 With a luxury refitted kitchen and bathroom, spacious lounge TWO DOUBLE BEDROOMS. Own rear GARDEN and a GARAGE. With LOW SERVICE CHARGES and a recently EXTENDED LEASE. UPVC double glazed side door opens to the entrance hall, built in storage cupboards, radiator. Double glazed window to the front, radiator, TV point, phone point. A refitted kitchen with a range of base and eye level storage units, work surface areas with inset single drainer stainless steel sink with mixer tap, breakfast bar, fitted electric hob with oven below and extractor hood over, plumbing for washing machine, space for further appliances, tiled surrounds and flooring, double glazed windows to front and side, radiator. A refitted suite comprising low level WC, panel bath with mixer tap and shower over, pedestal wash hand basin, tiled surrounds and flooring, heated towel rail, double glazed window to the side. Gated access leading to a rear garden, laid to lawn with surrounding borders. A single garage situated in a block to the rear of the property. Additional parking can be found in the communal parking area close by.